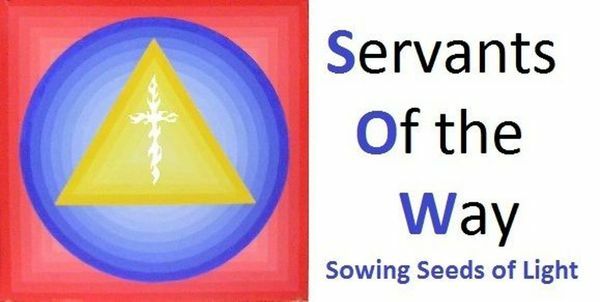 Follow the link below to learn about upcoming worship services, classes and special events, as well as read essays not yet posted here, and learn more about Servants of the Way. You will be able to sign up to receive regular notifications. Servants Of the WAY is not a group or organization. There is nothing to join. There is no charge for the work we do. It is a source of Initiation into the WAY. We only wish to share the experiences we have gained over several decades of inner initiatory work and bring others into the WAY of Service . The need is great. This Meetup is for you IF you are serious about allowing the Spirit and Light to transform and liberate you so that you can enter the great Work of Serving all Beings. Servants Of the WAY is not a group or organization. There is nothing to join. There is no charge for the work we do. It is a source of Initiation into the WAY. We only wish to share the experiences we have gained over several decades of inner initiatory work and bring others into the WAY of Service . The need is great. This Meetup is for you IF you are serious about allowing the Spirit and Light to transform and liberate you so that you can enter the great Work of Serving all Beings.